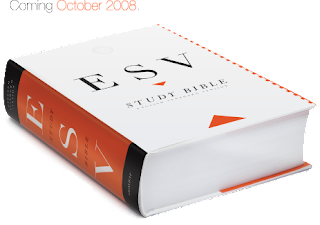 If you frequent any other Bible-thumping blog you likely have heard, but the ESV study bible will be hitting shelves in October. As my preferred translation, this brightens my already bright mood. Also, see Scripture Zealot's "What's so great about the ESV."